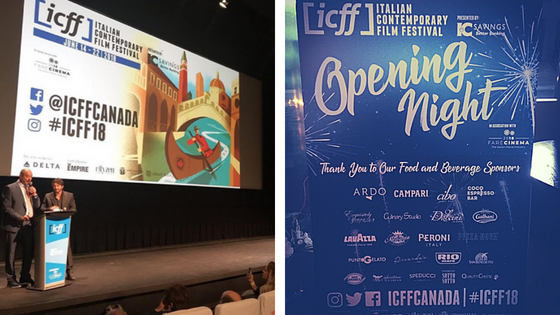 Yesterday was the kickoff to the Italian Contemporary Film Festival (ICFF) in Toronto! It was an evening filled with great food, great fun, and of course great film! The evening began with the opening film, "Like a Cat on a Highway," or "Come un gatto in tangenziale." 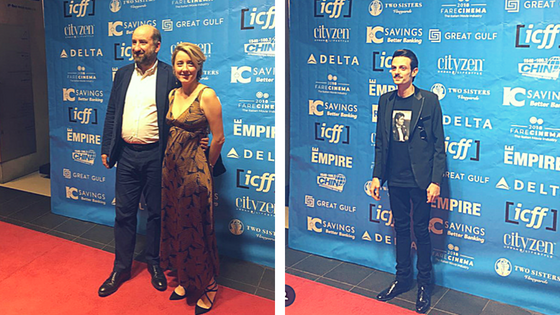 As the stars walked the red carpet, guests arrived, and soon all were ushered into the theatre where they heard a few opening words from ICFF executive members, Cristiano De Florentiis and Maurizio Magnifico. Then the film began; a comedic story which depicts two individuals from completely different worlds, who are forced to rethink their preconceived notions of each other. Leading actors, Antonio Albanese and Paola Cortellesi, offer a tremendous performance in the movie, that truly makes one question the world's we live in, and our judgement of individuals. As Albanese stated yesterday before the film commenced (he was one of the guest stars of the festival! ), "That which has captured the audience [with this film] is the relationship between these two people who are completely different - the fact that there is a need to truly listen to people, to understand them and spend time with them." After the opening film, it was time to celebrate! Guests headed over to Ricarda's Restaurant, where we were presented with Italian food and drink from a variety of sponsors, live music, and an interesting light show which depicted movie stars and films from past and present. There were also guest appearances from some of Italy's biggest stars, including Italian singer and actor, Ravazzi (whose music was featured just a few months ago in VLD's Music Mondays!). 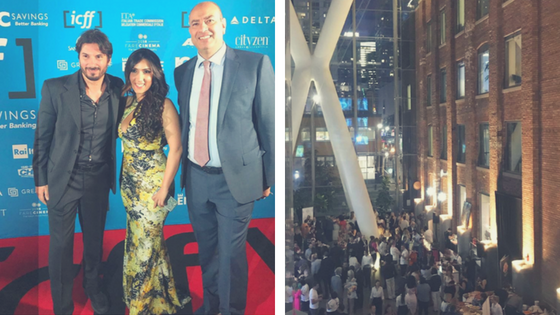 It was a lovely evening, full of celebration and promotion of Italian culture; something that is at the heart of the Italian Contemporary Film Festival. This festival which started initially as a grassroots non-profit film festival in 2012, is now one of the largest Italian film festivals outside of Italy! Each year, the festival presents some of Italy's top films (this year there are 109 films total! ), dialogues with visiting actors, and informational events on the films and the film industry. The festival, which runs from June 14th-22nd, offers a great way to learn about Italian culture and language, and is one event you will definitely not want to miss! Be sure to visit www.icff.ca for information on how to get your tickets! Omigosh Danila, THIS is why on my flight from Toronto to Milan, there was word that there were famous Italian actors on it!! !